"I will go to defend not only the Palestine Football Association but I will defend the basic principles of FIFA (which are) to connect people and not to separate people...," said FIFA President Blatter, just over a month after the mandate given him by the 2013 FIFA Congress in Mauretius, to try to improve the situation of football in Palestine. The Palestine Football Association (PFA) had submitted a proposal for the agenda of that 63rd FIFA Congress to “to discuss the situation of Palestinian football”. Restrictions on the movement of players and officials in and out and within Palestine. Restrictions on the movement of sport goods (including documents sent by FIFA and AFC) in and out of Palestine. Human rights violations, and racism, against elements of the sport of football. Political intervention by the occupier in PFA's right to organize friendly matches. Restrictions on building and maintaining football related facilities by the Israeli occupation. Allowing and encouraging illegal settlement clubs to build football facilities, and the Israeli Football Association (IFA) to organize football on stolen Palestinian land. “I'm on a mission…” the FIFA’s President told an audience at Al-Najah University in the Palestinian city of Nablus “to transmit to the political authority in Israel the problems that you are facing here'' he concluded, just as he embarked on that mission that some would describe as a “mission impossible”. On 4th of October 2013, the FIFA EXCom endorsed Mr. Blatter’s task and the creation of the FIFA Task Force Israel-Palestine, which resulted in the creation of a mechanism, under the umbrella of FIFA, to facilitate the movement of persons and goods in and out of and within Palestine. And though the mechanism overlooked the issues of sport facilities, and other areas where Palestinian sports are hindered, the Palestinian side agreed on the FIFA parameters in good will, and the mechanism went into effect in October, 2013. It was tested for the first time during the AFC U19 Men’s qualifiers, held in Palestine from 8-16 October. Both the Palestine and Israeli FA appointed liaison officers who would be in direct contact with each other, and with the relevant authorities each in their territory, and it looked like things were looking up; communication was smooth, and good will present. And, though some permits to enter Palestine were still denied, and though the movement within Palestine was still restricted (especially to and from Gaza), hopes were high that an MoU would still be signed. This document endeavors to records the incidents which said mechanism was launched to prevent. The writer leaves it to the reader to decide whether it succeeded in its task or not. FIFA Circular 1385, on 14/10/2013 sets the parameter of the mechanism to facilitate the movement of players, coaches, referees and officials into, out of, and within Palestine. On 4/10/2013 Israeli Authorities called upon PFA Vice General Secretary Mohammad Amassi for interrogation at the Erez checkpoint. Amassi is one of the 5 whose permits were rejected. On 13/11/2013 a list of 6 PFA officials is denied entry from Gaza to the West Bank because 3 were journalists, the rest were not POC officials, and that only players and coaches were permitted to move between Gaza and the west bank, unless “Security reasons” prevented this. “In general what is permitted (upon approval) are players and coaches for any official activity going from Gaza to the Judea and Samaria, as well members of the Palestinian Olympic committee, So first regarding the journalist it was not approved, for the PFA members, The Israeli approached the civic department if someone from the applicant is acting or have a function within the IOC to allow them to enter. This why it talk time for receiving the answer, since none of them have a role the request has been decline". On 13/11/2013, the Israeli DCO confirms the IFALO’s statement, and informs the Palestinian Ministry of Civil Affairs, by phone, that all permit applications for PFA members (whether players, board members, or Journalists) to move between the northern and southern governorates (Gaza and the West Bank) will be thence rejected. As for Olympic Committee members, there applications will have to pass a security check, and then be approved or rejected. On 15/11/2013 FIFA intervenes to remind parties that circular 1385 is applicable to all elements of the game (referees, players, coaches, and officials), yet, nothing happens, and the 6 persons never make it to the Youth week. In his 1st entry e-mail, dated 30/9/2013, the IFALO uses the term “local Authorities” to describe the Israeli DCO (District Coordination Office-or, as it translates from its Hebrew name- Ha-Minhal ha-Ezrahi -The Civil Administration). This use of the term is offensive, since the DCO is the Israeli Occupation governing body that operates in the Palestinian territories, and is not a “local Authority”. The IFALO (as can be seen in the quote above) still referred to the Palestinian territory of West Bank as “Yehuda V Shomron” (Judaea and Samaria), the biblical name normally used by illegal Israeli colonists in Palestinian territories, which is quite offensive. The PFA applied for one Jordanian expert Walid Abuhussein who was supposed to come on a FIFA Goal Project assessment visit on 20/11/2013, and the Palestine FA Liaison Officer (Hence PFALO) is informed by the IFALO on 5/11/2013 that Abuhussein’s permit was approved on 7/10 and handed to the Palestinian Civil Ministry on 8/10. Yet, the permit was never found, and the mission had to be postponed. 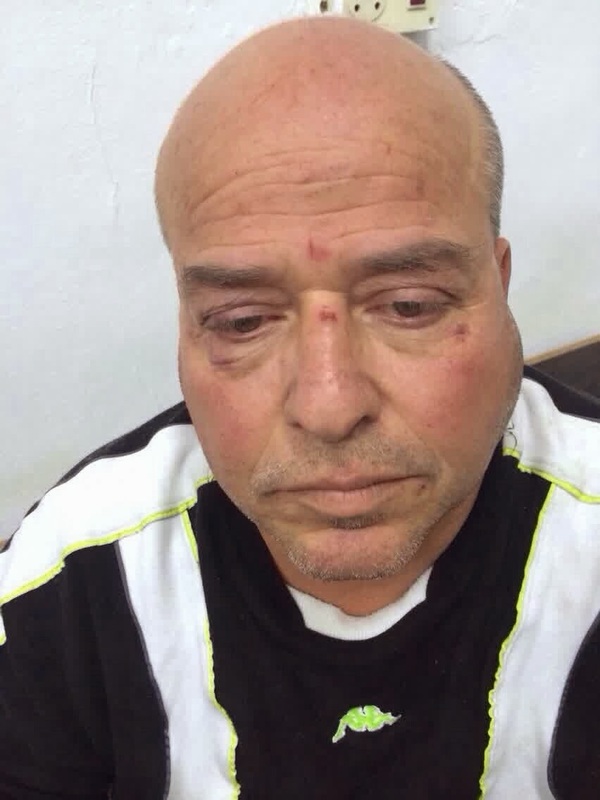 On 24/11/2013, an Israeli Special Police Force arrested and physically assaulted Mr. Basel Mahmud, the Coach of Al- Isawiyah Club’s Women’s team. Mr. Mahmud was departing the club after concluding a training of his team, headed for his sister’s house, when he was assaulted and beat up. In a reply e-mail regarding the issue of Mr. Basel, dated 26/12/2013, the IFALO says ”The area of Isawiya is under the jurisdiction of greater Jerusalem and not part of the Northern territories”. Regardless of the political nature of the comment, and therefore the remark to follow; it may be worth mentioning that the International Community does not recognize “Greater Jerusalem”. It is a term recognized only by Israel and it includes the occupied area of East Jerusalem (in which Isawiya is located) as per relevant UN resolutions. The IFALO then adds: “therefore the police are competent in this case” by which it can be assumed he means Israeli Police have jurisdiction there not COGAT. For, the unit that attacked Basel was indeed an Israeli Police special unit. After inquiring on the matter, the IFALO writes: “Mr. Basel did not have a valid permit to be in Israel on the date the incident might have taken place”. (24th November). [note the use of the word “might” which implies the belief of the writer that the incident may have never happened ] “Mr. Basel's permit was valid for the period of 17-23/11/2013 and according of the application that he has made, the purpose for his visit was for family reasons”. This fact above proved to be incorrect, for there is a document (available upon request) which includes a decision by the Chairman of the Israeli Committee for foreigner’s exceptions – Jerusalem, effective since 26/11/2012 stating that: “No deportation action from Israel shall be taken against applicant number 2 Mr. Basel Mahmud, ID 411704182 until this committee decides otherwise.” There has been no following decision, and Mr. Basel was unjustly and savagely attacked by a unit of the same police the IFALO adviced, on 9/12/2013, that Mr. Basel Mahmud complain to. The PFALO submitted this document to the IFALO on 7/1/2014, but never got a reply, or were informed of any action. The PFALO called Mr. Basel Mahmud’s daughter, Remah, on 12/1/2014 and asked her what happened exactly. She presented documents that prove her father was indeed within his rights to be in Isawiya when he was attacked; that he has been in his training session before the incident, a session she attended as a player. They both departed afterwards to her aunt’s house. At the time they arrived, an Israeli Special Force called “Yassam” had set up an ambush for a group of youth who were protesting in the vicinity, and Basel was caught in between. They fired a sound projectile that hit him in his side from close range, and then they beat him up and dragged him away. Up until this document was being written, there’s been no court decree to take away Basel’s residence rights. His daughter told the PFALO her father has been tried 3 times so far, and is now under house arrest in Beit Hanina (East Jerusalem). On 26/11/2013 the PFA applied for 7 players in the Palestine National Team to come from the Southern Governorates (Gaza) to the Northern Governorates (Ramallah) to participate in the training camp, in preparation for the 8th WAFF Men’s Championship, starting on 1/12/2013. Just before the PFALO could inform the IFALO of the application, the Israeli DCO called back on the 27th informing the Palestinian Civil Ministry that there isn’t enough time to do the security check on the 7 names and they cannot have an answer before 5/12/2013. The application was forfeited since the National Team’s coach saw it was useless to have these 7 players this late. On 5/12/2013 The Israeli DCO informed Palestinian Civil Ministry that no one can pass from the Southern Governorates (GAZA) to the Northern Governorates unless the PFA & POC present the DCO with lists of all National teams’ players in Gaza that are “updatable” (Meaning PFA and POC can update these lists when necessary). So, if you’re in one of the National PFA or POC teams you may _subject to the security evaluation_ get the chance to travel from Gaza to Ramallah, and if you’re an amateur or a substitute…? It is questionable whether this demand conforms to FIFA statutes, The rights of players, or Human rights. 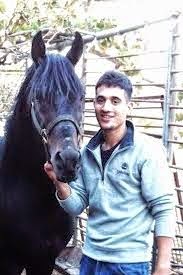 On 2/1/2014, National Team player, Abdallatif Albahrari, attempted to return to Palestine with the national team after participating in the WAFF 8th Championship, yet as he tried, on 2/1/2014 to cross via the Allenby bridge, he was detained for 10 hours, and then asked to head back to Jordan. 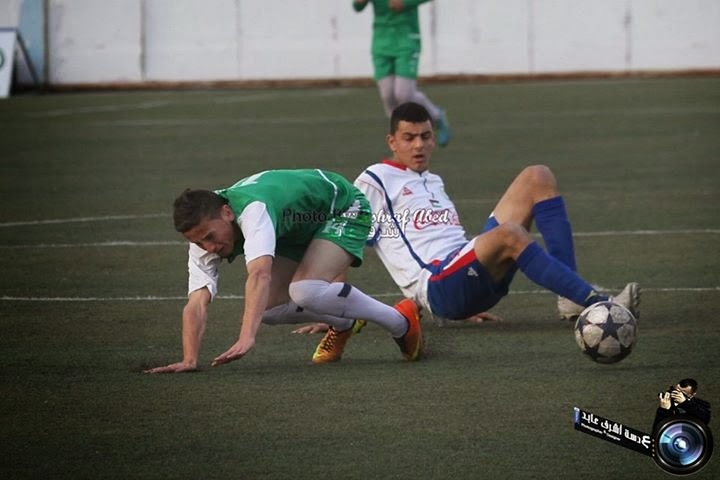 The PFALO then checks with the Palestinian Civil Ministry who confirms the Ministry got a “verbal approval” from the DCO for the player, or else he would not have been asked to come back to Palestine via Allenby Bridge. The IFALO never wrote back about Abdallatif Bahdari. The PFALO was informed that the Palestinian Civil Ministry got into an issue with the Israeli DCO regarding their “verbal promise”. Abdallatif had to be sent back to Jordan 3 times, up until the 12th of January, when he was finally allowed in. 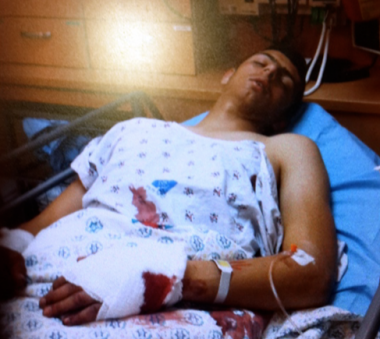 On Thursday 31/1/2013, Abu Dis club player Johar Nasser Aldeen Halabiyeh, born 14/9/1994, and his cousin Adam (17-years old) were brutally attacked and shot by Israeli Army soldiers at around 11:15 p.m. 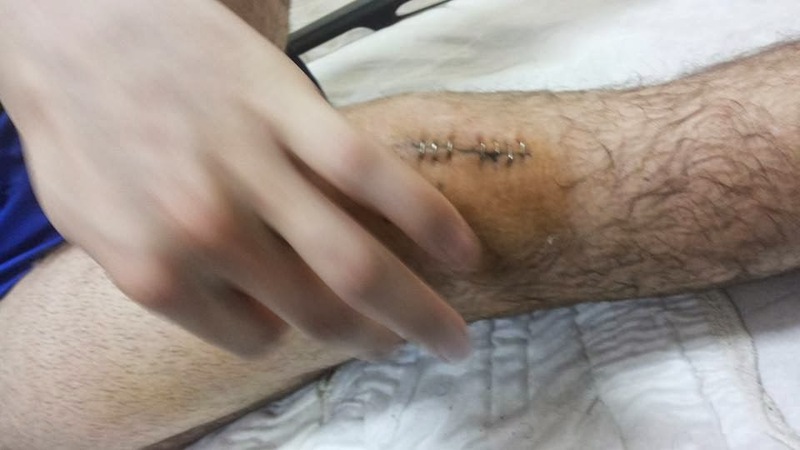 They were shot by live bullets mainly in the knees and lower body. 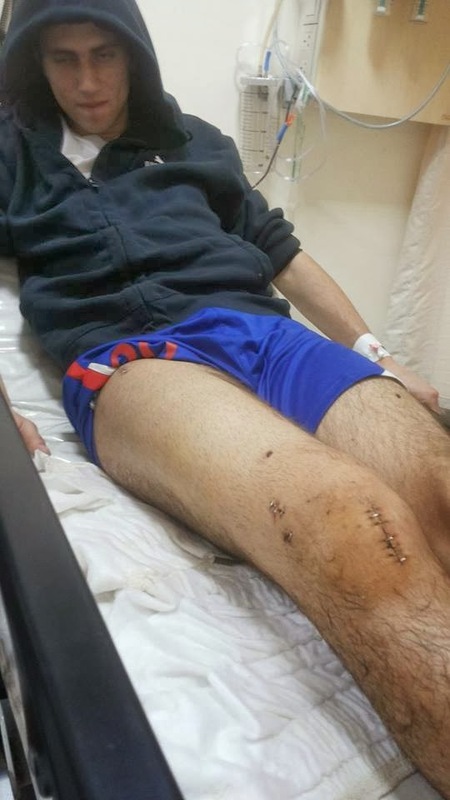 And as if shooting was not enough, they were both savagely beaten by the soldiers, while the Israeli assault dogs participated in the attack and nearly took a chunk of Johar's arm. After the assault, they were arrested. 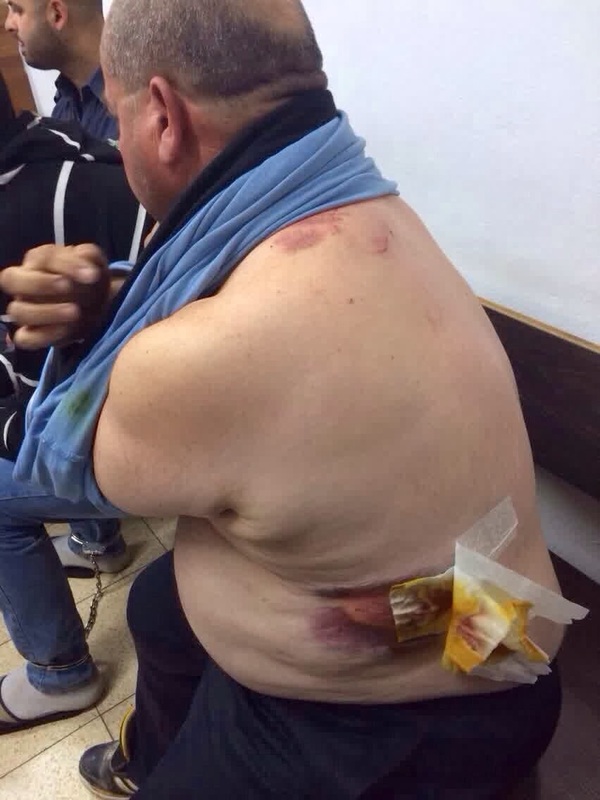 The Israeli soldiers refused to let Palestinian medical teams treat them, and took them instead to Hadas Ein Karem Israeli hospital. 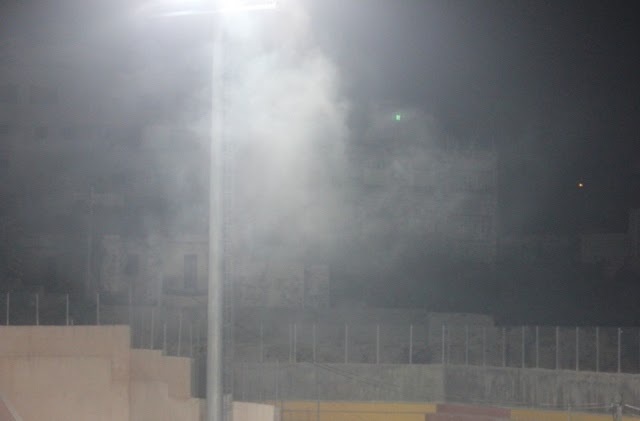 On 31/1/2014, Israeli forces shot tear gas grenades around Faisal al-Husseini stadium, just as a Pro league match was being played. The referee had to cancel the match, since both players and spectators could not breathe, not to mention the referees. On 10/3/2014 a young player from Bittin, Saji Darweesh, 18 years old, who plays for his village's local team, was shot dead by an Israeli army sniper. Saji had finished herding his flock of sheep, and was taking a short cut to his home, according to witnesses, when he was shot by the sniper hiding in the bushes closeby. 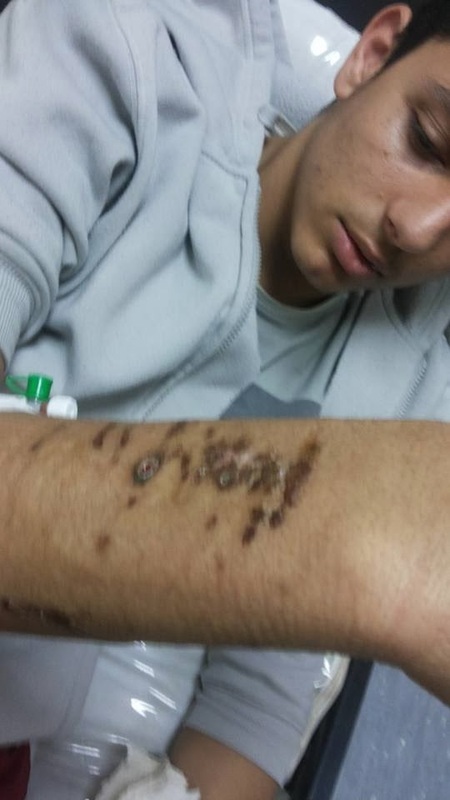 According to the Israeli report, Saji posed no threat to the soldier, yet the latter shot him, and the boy was left there gasping for his life while a Palestinian Ambulance coming to help him was being hindered by the Israeli forces. 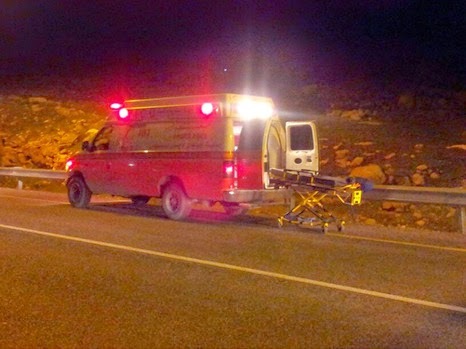 Bittin is located in area "C", and the Palestinian Ambulance had difficulty reaching the boy. His injuries were massive, and he died on his way to the hospital. activity was documented by press photographers." 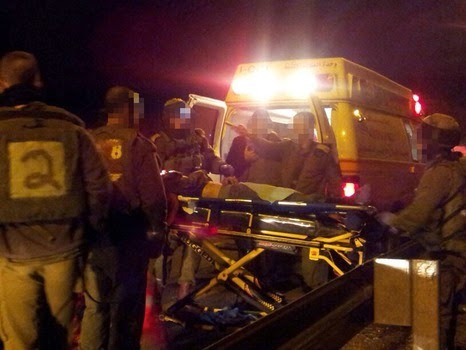 These photos (as can be seen above- and as taken from http://news.walla.co.il/?w=//2728041) show the Palestinian Ambulance on the main road before the checkpoint. The boy was killed up near the town of Bitin, on the hill which shows in the background. 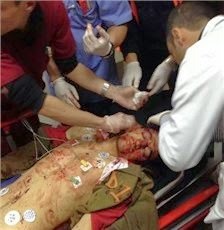 What is the ambulance doing there waiting, with the stretcher out, if it was really allowed to go get the injured boy? Now if one looks at the second photo, it is clear that the boy was brought in by the Israeli soldiers from where he was shot. What can only wonder what the soldiers' handling did to one who was fatally wounded. 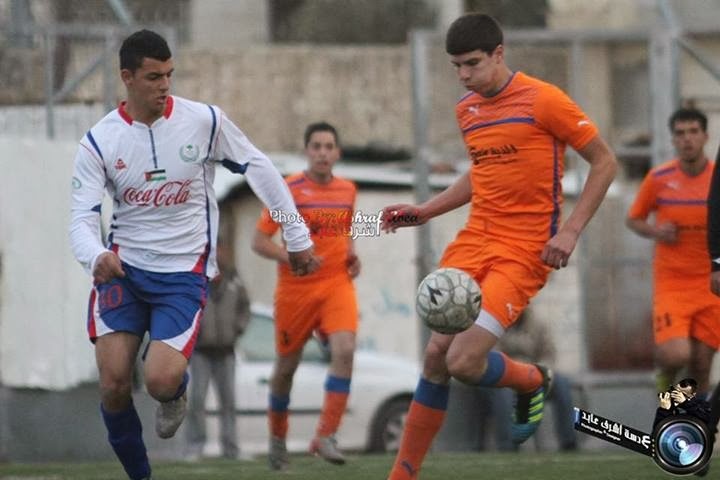 On 28/4/2014, National team player Sameh Faris Mohammad Maraabeh, ID# 853863116, and a resident of Qalqilia, was arrested by the Israeli Police as he was coming back home with the National team via King Hussein Bridge. The national team had concluded a training camp in Qatar, in preparation for the AFC Challenge Cup, and was heading back to Palestine when this arrest took place. 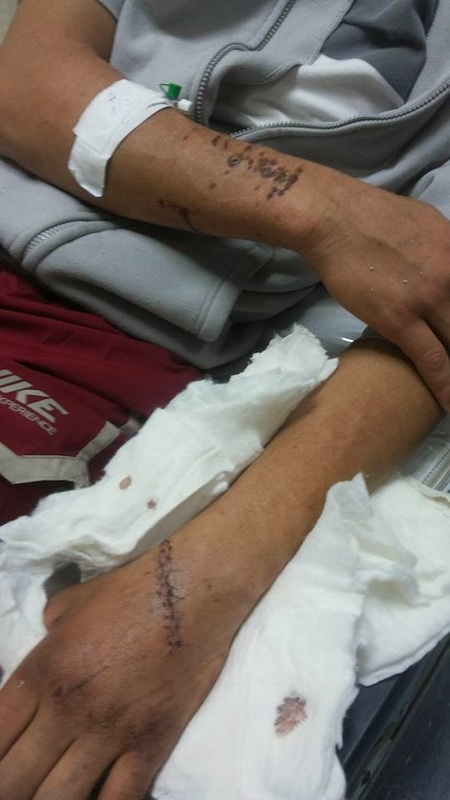 On 29/4/2014, Israeli authorities arrested players Johar and Adam Halbiyeh, (whom were brutally attacked by Israeli forces before) as they were heading back to Palestine, after being treated for their injuries in Jordan. 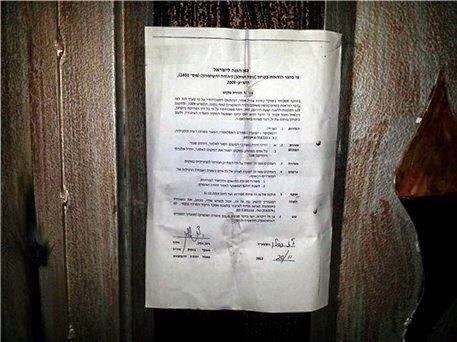 On the morning of 30/4/2014, Israeli military forces handed the Administration of the Islami Qalqiliya club a military order informing them that the club is closed until 13/12/2014. 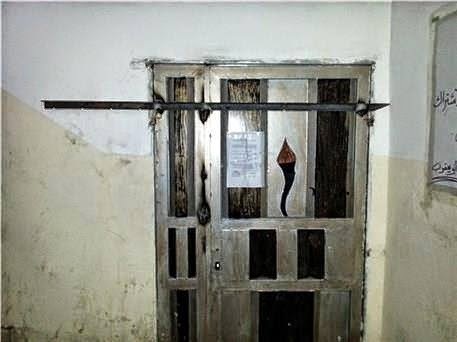 The same force sealed the entrance and warned the administration not to enter the place until the date specified in the military order. The Israeli authorities that function in occupied Palestine have their rigid set of rules on who gets in and out of Palestine and who moves within, and what shipment material is eligible to be delivered to its Palestinian recipients; these authorities are adamant in imposing these rules regardless of the mechanism parameters. We think that this weakens and may even undermine the mechanism if the IFA can’t prevail upon said authorities to reconsider this mindset to better suit the realities of the modern world. In some cases, the IFALO takes the word of the Israeli Military Authorities for granted, despite the existing proof otherwise from Judicial, or other relevant, parties both in Israel and Palestine; like in the case of Coach Basel Mahmud. This does not help the trust-building between PFA and IFA. The “Security Reason” is often used, and very freely, by the Israeli authorities to reject the applications of people moving from the Southern Governorates (Gaza) to the northern ones. We fear that the Israeli policy, which has been communicated verbally to the Palestinian authorities on several occasions, is to lock up Gazans in Gaza, as a rule, and let some in an out as an exception, when more understanding and shorter processing time is needed, since it concerns the basic rights of football players and officials to move within Palestine for reasons of sport. Last, but not the least, one needs to be clear on one thing: What is the term of reference for this mechanism? FIFA's parameters ? Or COGAT's scripture-based parameters?